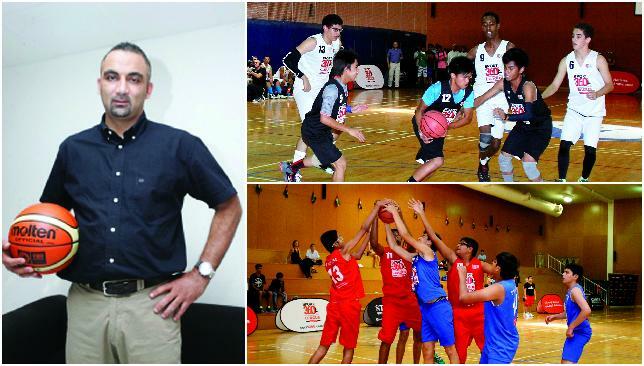 UAE Basketball Association technical director Mounir Ben Slimane hailed the inaugural National School League (NSL) Basketball tournament as a success for growing the sport at the youth level. The UAE boys’ national side has been one of the highest climbers in the FIBA world rankings, jumping up 17 spots to No66, and the NSL will only further help the nation’s ascension in basketball. “The UAE Basketball Association has been proud to be part of Sport360°’s pioneer project of promoting national basketball at school level,” Slimane said. 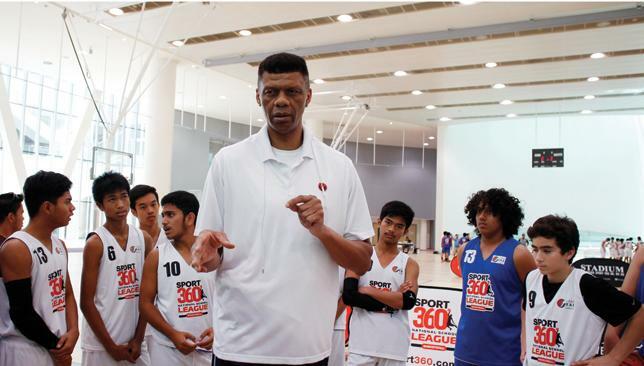 “The new competitive platform which targeted expat and local youngsters across Abu Dhabi, Dubai and Sharjah was fantastic for grassroots basketball development in the UAE. It has been a good driver to enhance basketball promotion in the country and an added value for talent identification. Sponsors of the NSL were also impressed, as both National Ambulance and Stadium praised the competition. 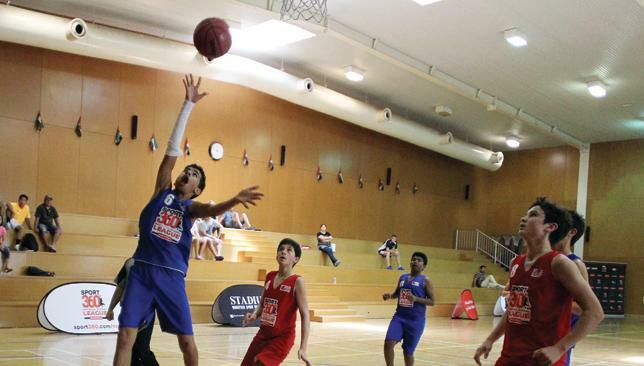 p>“National Ambulance is a proud sponsor of Sport360°’s NationalSchool League Basketball, which has proven to be a huge success amongst everyone who participated,” National Ambulance CEO Robert Ball said. Samantha Warrayat, marketing manager at Stadium, added: “Stadium has very much enjoyed being involved in the National School League Basketball. “We have seen some fabulous basketball being played and been very impressed with the enthusiasm and passion demonstrated by the teams and coaches. Jawann Oldham (c) praised NSL360's impact. The National School League (NSL) was a new vehicle to identify up-and-coming basketball talent and GEMS Sports Academy took notice of the impressive players in the tournament. As the hosts of NSL games played in Dubai – along with Victoria International School Sharjah and New York University in Abu Dhabi – GEMS got a firsthand look at the UAE’s young talent pool. James Tucker, principal director of GEMS Sports Academy, believes the tournament brought some of the best basketball has to offer in the region to the forefront. The initiative very much aligns with the vision GEMS have of developing young athletes in the UAE, both on and off the field. By combining education with sport, GEMS are paving the way for aspiring athletes to begin the journey towards becoming professionals capable of a reach outside the UAE. “GEMS Sports Academy is aimed at developing athletes for the future. In year one of our launch, started in September, it’s a great platform for us to identify talent of the future,” Tucker said. GEMS have already had success preparing students for furthering their sporting careers, with Callum Beaver the precedent and Aaron Ferns a symbol of what’s to come. Beaver became the first GEMS Sports Academy student to receive a full scholarship for a Division I school in the United States, where he’ll attend Holy Cross College and play football. Ferns, who’s already been invited to national team tryouts for his native India, is hoping to follow a similar path while training with former NBA player Jawann Oldham in GEMS Academy’s team. The NSL has served to widen the talent pool from which GEMS can find new players to develop.